Restoration of a heritage photo of Paris Shoes, circa 1919, for The Salient Group’s Paris Block development. This photo was used for various collateral, emphasizing it’s historical past. Photo is from the City of Vancouver Archives. See also The Salient Group corporate website, Paris Block website, and Terminus brochure. See all projects tagged ‘Salient Group’. 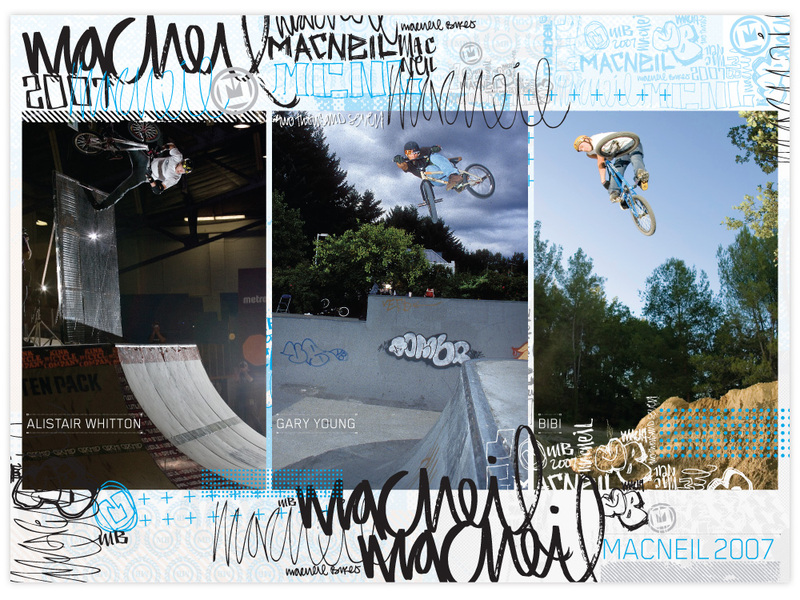 DVD menus for The MacNeil Video include the main intro screen, section by rider screen, bonus screens including a bails/wipeouts section and slide show of team photos. The slide show was a lot more work that we ever counted on, as we choreographed it to work with the music, as opposed to just letting the music run in the background while the photos transitioned by. You can watch that slide show embedded below. The MacNeil DVD Bonus Slideshow from Chris Young on Vimeo. DVD authoring by Joe Simon. Music by Peanuts and Corn. See also The MacNeil Video DVD packaging and MacNeil Bikes ads. See all projects tagged with ‘MacNeil Bikes’. 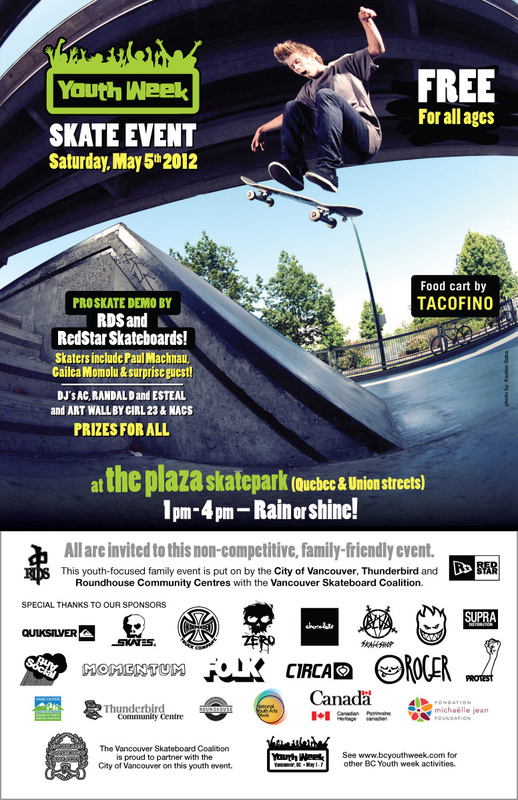 A selection of posters I’ve done over the years collected together; posters for MacNeil Bikes, Vancouver Skateboard Coalition’s Youth Week, and Metro Jam BMX contest posters. 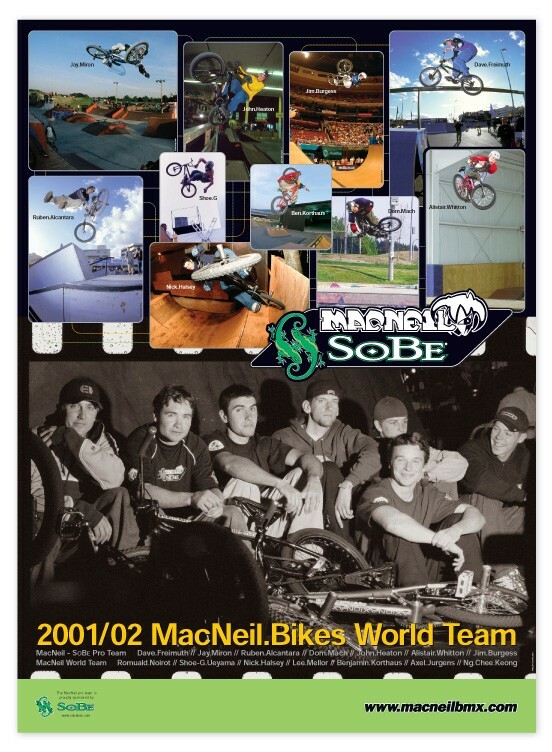 MacNeil Bikes – Oversize poster showcasing the 2001/2002 MacNeil/SoBe World Pro Team. 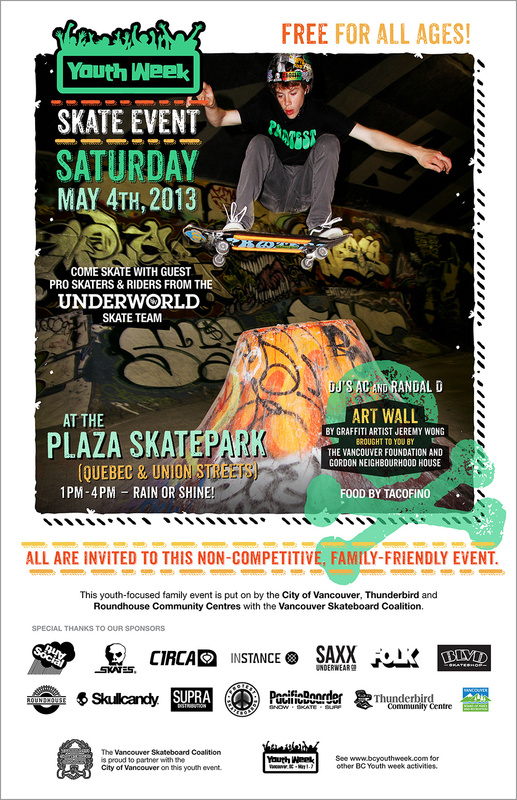 Handed out at autograph sessions during in-shop and skatepark tours across the US and Canada. 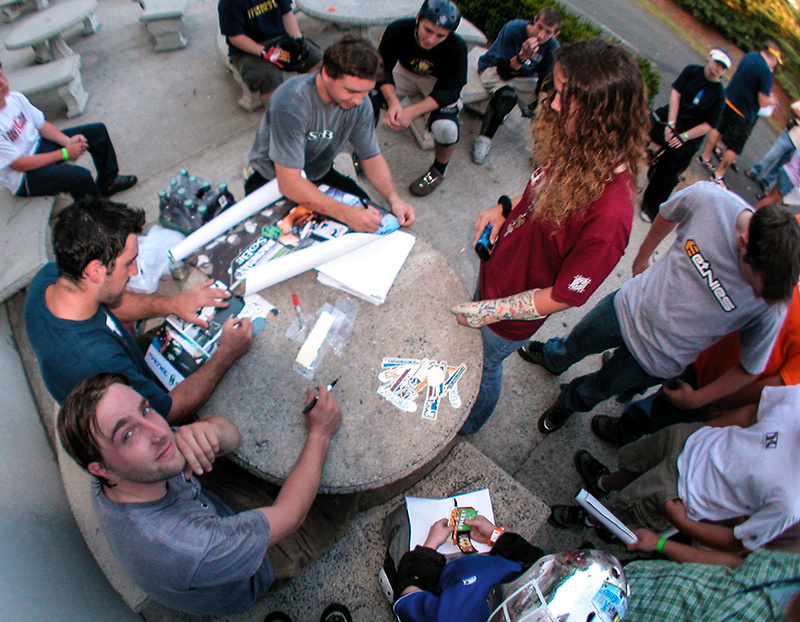 From top: Jay Miron, Axel Jurgens and Dave Freimuth sign posters at a demo in Shimerville, Pennsylvania. 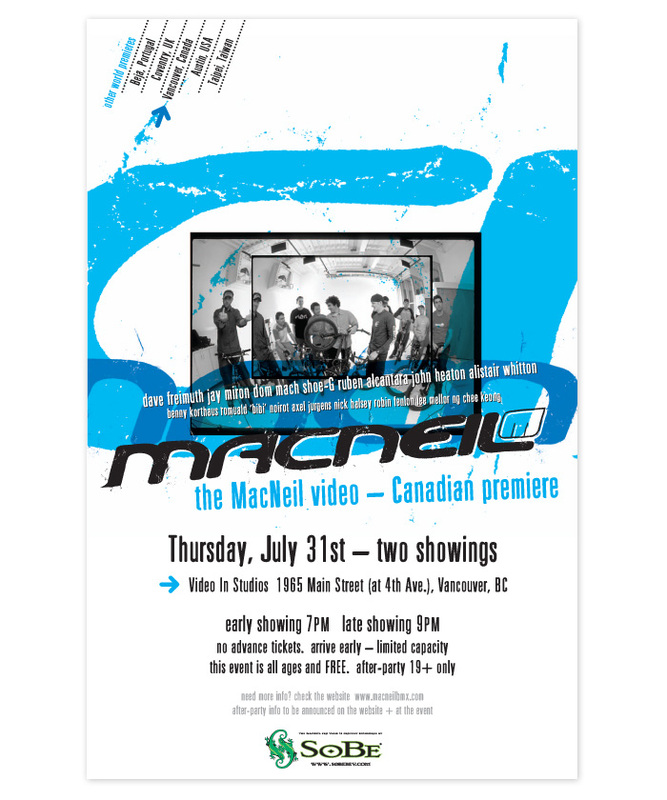 MacNeil Bikes – The MacNeil Video posters for video premieres around the world including Portugal, England, Taipei, Austin and Vancouver. 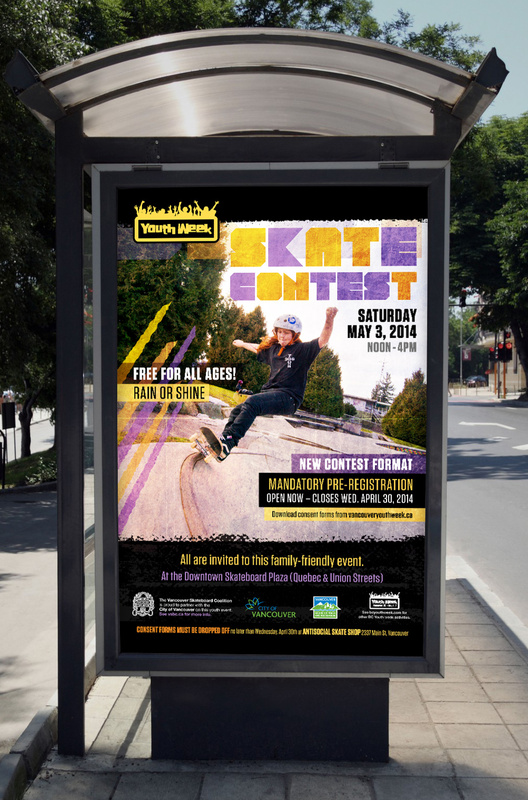 Vancouver Skateboard Coalition – A series of posters to promote the annual BC Youth Week events that the Vancouver Skateboard Coalition organizes with the City of Vancouver and it’s event partners as part of a week of events across British Columbia. 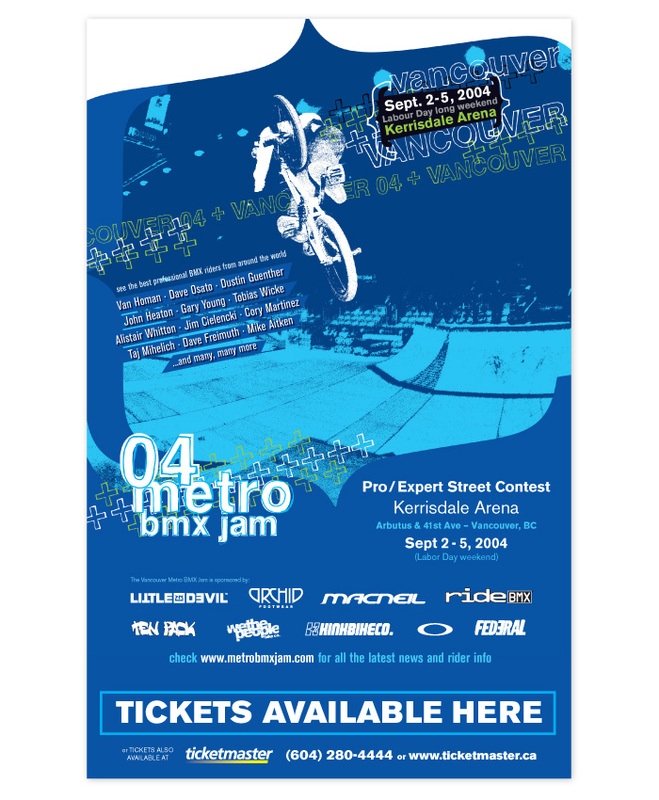 Metro Jam BMX Contest – Promotional poster for the 2004 Vancouver Metro Jam contest. 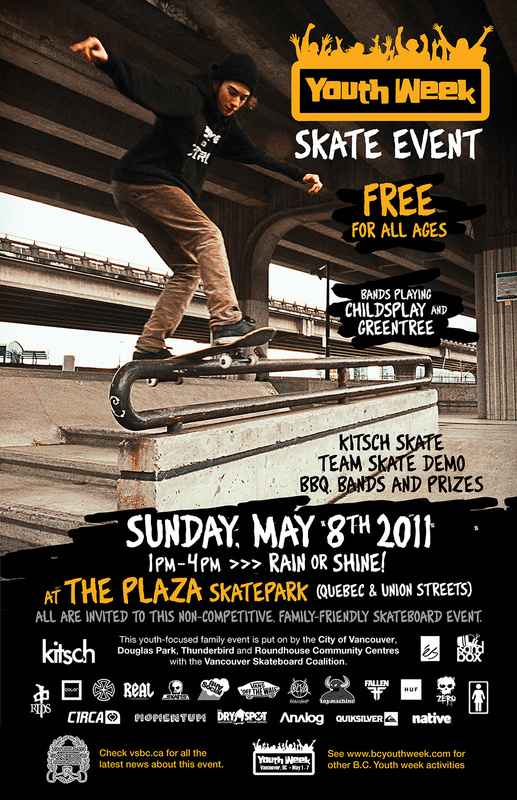 This version of the poster was hung at shops that carried tickets to the event, and other versions of this poster were posted around the city. 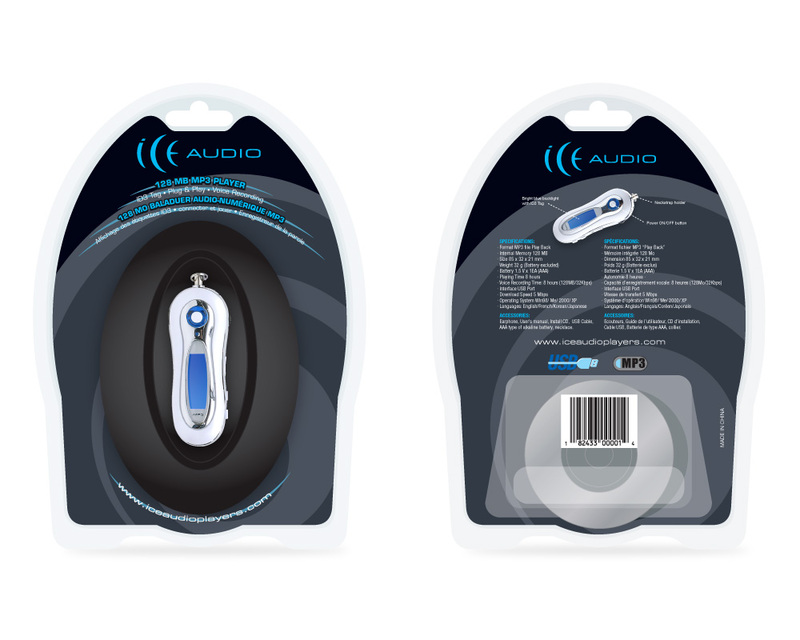 Audio MP3 player packaging concept illustrations showcase how the final production clamshell will look in both a light and dark colour. 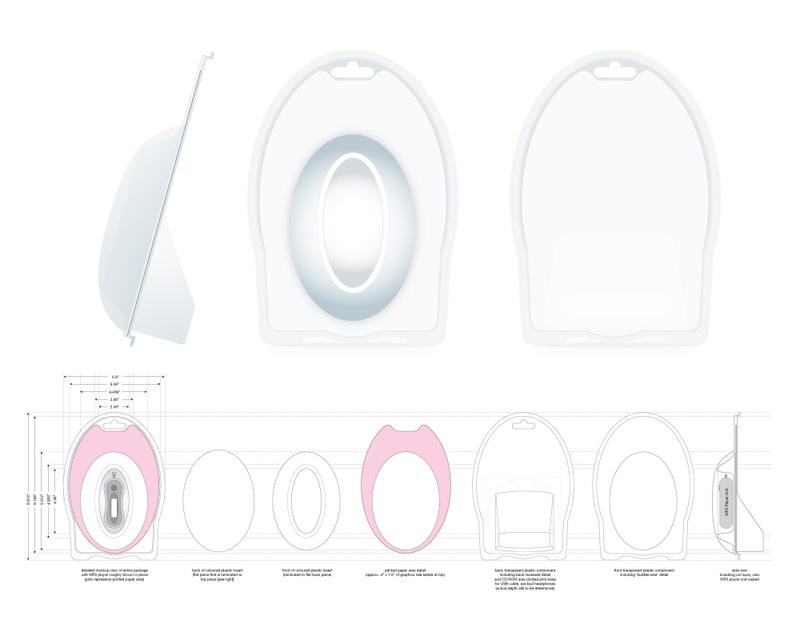 Shown are detailed mock-ups of the clamshell shown from the side, front and back; and a complete breakdown of the clamshell/paper packaging system that was sent to Asia for final production. 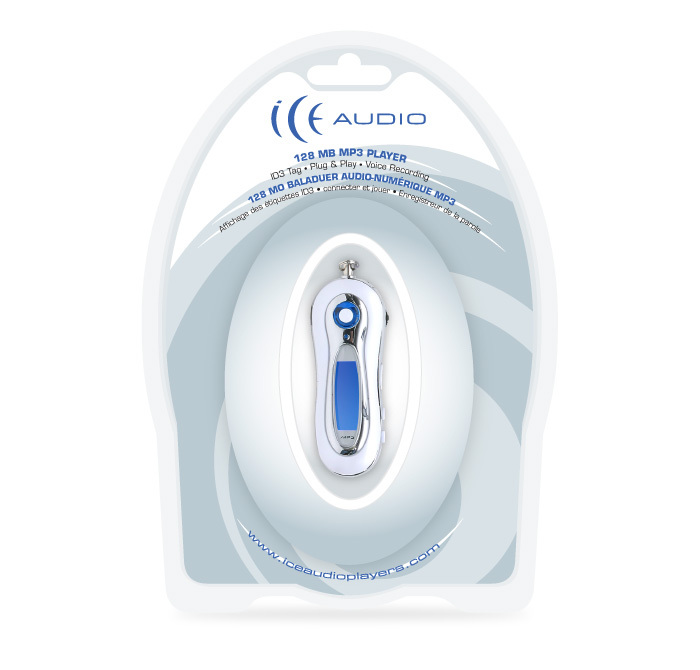 Ice Audio MP3 player package final design in white (front). 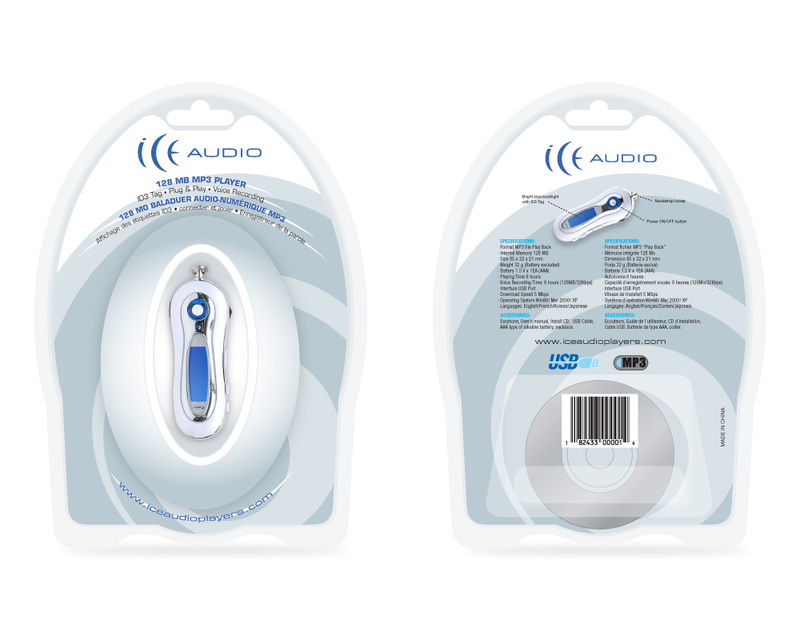 See also Ice Audio MP3 Player Packaging. Illustration created from an original City of Vancouver archival photo (circa early 1900’s). 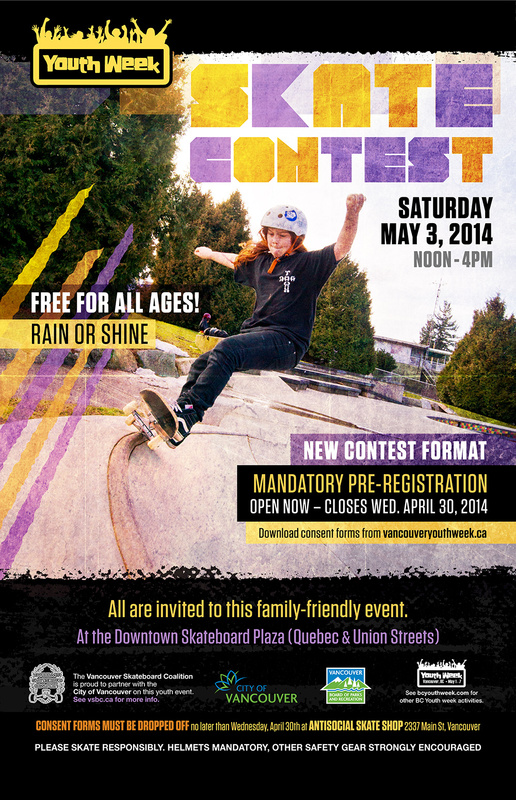 Photo was used in print and web collateral as well as an oversized photo in the presentation centre. See also The Salient Group corporate website, Paris Block website, and Paris Block brochure. A couple photos of the MacNeil Bikes Gary Young and John Heaton signature frame prototypes. 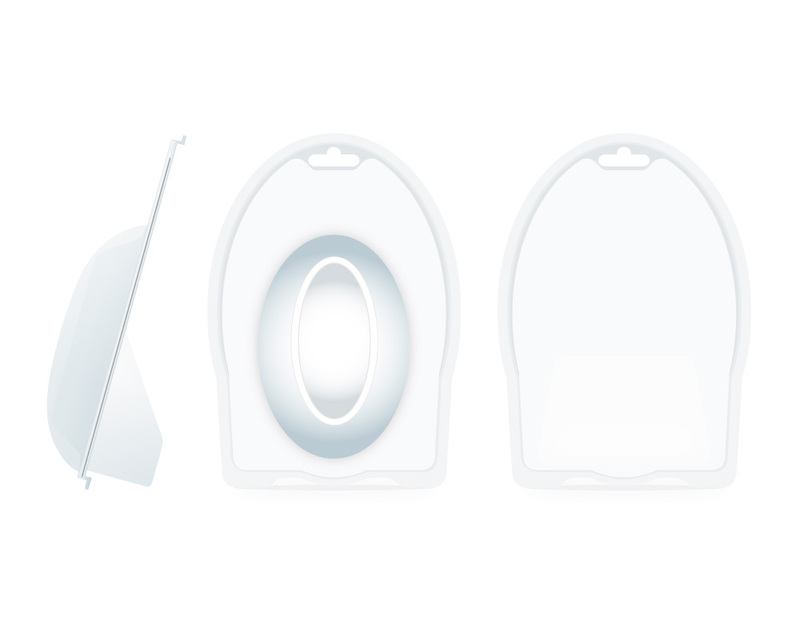 The frames needed to be cleaned up and have the sticker concepts applied to be used in ads, print catalogue and on the website. They were shot in a rented studio in Taiwan, transfered onto a server, then colour-corrected without ever seeing the actual colour. First photo shows the final piece, cleaned up with the stickers. Second photo shows the original photo (cleaned up), and then you can see the before and after photos side-by-side. See also MacNeil Bikes 2007 Catalogue and MacNeil Bikes ads. Using the original photo of the stack of video tapes and film rolls, I wanted to make the stack look a little beefier to really emphasize how much filming went into the production of this video. The tape stack became a major component of the DVD jewel box back design, and was also used across several components of the MacNeil Video launch campaign including the DVD menus, website, posters, slide shows, stickers, etc. See also MacNeil Bikes Frames Photoshop work and MacNeil Bikes 2007 Catalogue. This dimensional mock-up illustration of The MacNeil Video DVD Jewel Box was created for promotions for the release of the DVD, both online and print. Mock-up was assembled in Photoshop. See also The MacNeil Video DVD packaging, MacNeil Bikes 2007 Catalogue and MacNeil Bikes ads.